Spirit Tree Cider in The Toronto Star! Can Canadians grow to love cider as much as Brits do? CALEDON — Can Canadians grow to love cider as much as Brits do? A Caledon couple hopes so. 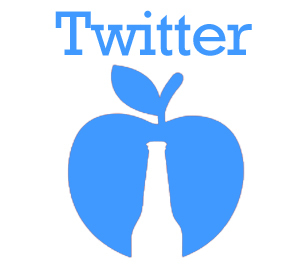 But first Nicole Judge and Tom Wilson have to teach people that when they say cider they mean hard cider, an alcoholic drink made from fermented apple juice. At Spirit Tree Estate Cidery, they’re producing a traditional pub cider, a wine-like estate reserve cider, an ice cider and even a crabapple cider. “We’re trying to show how diverse cider can be,” says Wilson. The cidery is set on 18-hectares (46 acres) of the Niagara Escarpment just north of Mississauga. The couple bought the farm in 2005 and started transforming hay fields and pasture into orchards. They’re growing 20 kinds of heritage apples in 5,000 trees spread across three orchards. They also have hundreds of wild apple trees. Judge and Wilson built a straw-bale cidery, a press room, fermentation cellar, wood-fired oven bakery, tasting room and retail shop. 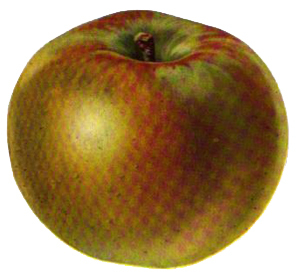 They opened quietly in September 2009 and have quickly tapped into the cider resurgence. You can thank Prince William for sparking renewed, youthful interest in traditional cider. His love of hard cider has driven up sales in a country that has long loved the beverage. The National Association of Cider Makers in the U.K. even named a new apple variety Prince William last year and Thatchers Cider Co. now makes a Prince William cider. Cider is seeing double-digit growth globally. It’s well-entrenched in France and Quebec and making inroads in Ontario, thanks in part to the County Cider Co. from Picton, whose ciders are in the LCBO. The LCBO has seen a 34 per cent increase in the volume (litre amount) of cider sales in the last three years, including 19.7 per cent last year alone. It showcased Peeler Cider from Thornbury Village Cidery, Waupoos Premium Cider from County Cider and William Premium Cider from Quebec alongside English and Irish ones (Bulmers, Stowford Press, Magners and Strongbow). It even gave a nod to pear and blueberry ciders. 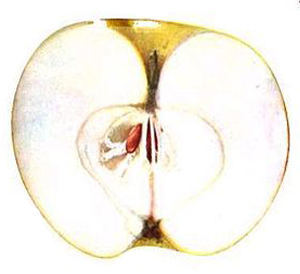 When Rhee took on cider with her ready-to-drink portfolio in 2004 and 2005, the flavoured cider trend was ending — cider was on a decline. When she was given cider again in 2009 as part of her beer duties, artisanal, traditional cider was on the rise. “What we’re expecting is that this whole artisanal cider movement is going to grow and is probably going to mirror what we’re seeing in the craft beer movement, where we went from a handful of breweries in the ’80s to more than 30 now in Ontario,” says Rhee. That’s good news to Grant Howes who has been making cider at County Cider Co. since 1996 and wants to see more artisan ciderheads. Still, there are challenges in Ontario. 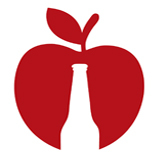 Cideries are legislated as wineries but compete against coolers and craft beer. Depending on a store’s size and refrigerated space, Rhee says the LCBO’s general guideline is to treat cider “as the bridge between beer and ready-to-drink.” Cider might be sold from the fridge or shelf. Spirit Tree Estate Cidery sells most of its cider on site. It isn’t yet big enough for mass LCBO distribution, but hopes to get into a select number of stores. So how did a farmer (Wilson) and vet (Judge) come to cider? “It’s always been a drink that we really enjoyed,” says Judge, 40, who has an English dad and Irish mom. Wilson, 39, comes from a farm family. The couple sold their pick-your-own farm to start fresh with something that wasn’t so perishable and weather-dependent. They gravitated to high-end gourmet, artisan foods and hard cider. They travelled to England for cider courses, Paris for a Cordon Bleu cooking course and California for a wood-fired oven building course. They now harvest apples by hand between August and October and put them into cold storage. When it’s time to press, they’re washed, sorted, juiced and blended in the press room and given ultraviolet light treatment instead of pasteurization. Fresh, sweet cider is ready at this point. Juice for hard cider is gravity-fed to tanks in the basement fermentation cellar where it’s mixed with liquid cider yeast and powdered starter nutrients and given time to ferment and age. The cider (which is gluten free) is bottled by Great Lakes Brewery. The results can be sampled and bought in the farm store, which is open Thursday to Sunday. Spirit Tree, which already gets plenty of visitors (on bike, horseback, motorcycle, foot and car), is watching keenly as interest in cider spreads. The Griffin Gastropub in Bracebridge is featuring Spirit Tree as its “brewery of the month” in April. In Februrary, Chris Haworth, executive chef at Spencer’s at the Waterfront in Burlington, hosted a sold out six-course tasting paired with Ontario ciders. He invited County Cider, Spirit Tree, Sunnybrook Farm Estate Winery from Niagara, Twin Pines Orchards & Cider House from Thedford and Thornbury Village Cidery. Spirit Tree, County Cider, and Twin Pines collected 20 medals at the Great Lakes International Cider & Perry Competition in Michigan earlier this month. “I just think the sky’s the limit for a good Ontario cider,” says Howes. 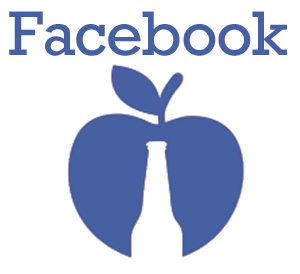 This entry was posted on May 30, 2013 by oncraftcider in Cider Stories, News.